This new article of mine in Business History has nothing to do with the economic and financial crisis, but it’s gotten more press than any previous article I’d written, so I thought I’d post a link here. The article in brief: This article examines the historical origins of bland American beer. The US was not strongly associated with a particular beer type until German immigrants popularized lager beer. Lager, refreshing and mildly intoxicating, met the demands of America’s growing working class. Over time, American lager became lighter and blander. By the 1880s, there was a distinct “American adjunct lager” that used rice or corn to minimize the bitterness and heartiness of the malt and hops. For the next century it would get blander still and would extend its dominance of the beer market. Why? This article emphasizes America’s uncommonly strong temperance movement, which put the industry on the defensive. Another factor was the American labor market in the late 19th and early 20th centuries, with long hours (and meals often consumed at saloons between shifts), negligible union protections, and a substantial “reserve army of unemployed” from which a tipsy worker could easily be replaced. Even before Prohibition, pale pilsners were some 85-90% of the market. (And yes, Prohibition was really bad for hearty beers.) 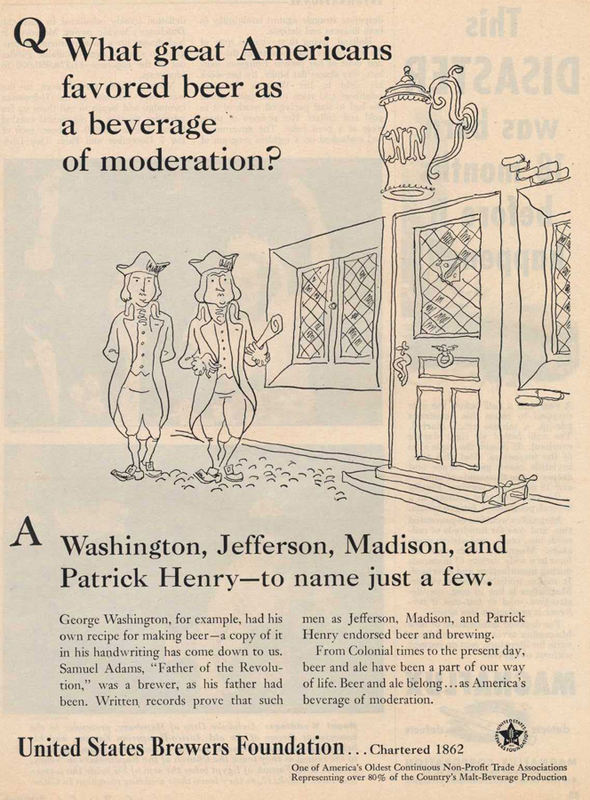 Brewers consistently pushed their product as “the beverage of moderation,” and consumers increasingly sought out light, relatively non-intoxicating beers. The recent “craft beer revolution” is explained as a backlash aided by a changing consumer culture and improved information technology. The paper’s derives its conclusions from data on beer styles, production, and content (alcohol, hops, and malt), as well as articles and editorials in trade publications.